Want to donate directly to Book Trust? of the children who need them the most. 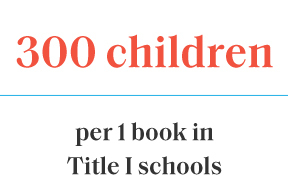 let’s get books into the hands of the children who need them the most. We know that stories shape who we are. And with each new story we encounter — our world widens. 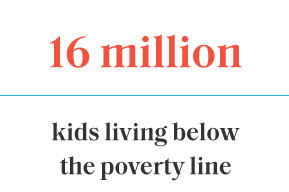 In low-income communities across the nation, there is simply a shortage of books available to young children. And with such limited access to books, their academic future is at risk. This holiday season, we can come together to create a small change in hopes of big impact — for every book purchased this Giving Tuesday, we’ll donate a children’s book to those who need it the most. Book Trust’s mission is centered on helping elementary school children with little to no access to books fall in love with reading. Through their teacher-led, student-driven approach, they not only give children brand new books, but more importantly — allow them to choose which books they want. Because in that choice is the magic itself — giving them a doorway into a lifelong love of learning. In the 2017 to 2018 school year alone, they provided almost 1 million books to 55,000 students. Thank you for playing a part in their mission this season — our gratitude is endless. “While some low income families have access to free books, they are often quite old (don’t get me wrong, there are definitely classics that are timeless!) and the students may not find a book that they really want to read. One of my students lights up every time she gets the books that she chose on her own. She has a love of reading that she did not have before because she gets to read what SHE wants to read." 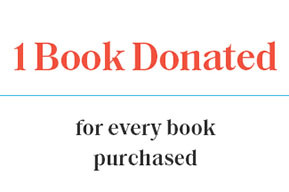 Compelled to donate directly to Book Trust?